By this point, we all know that keeping up with our vehicles’ routine maintenance needs is an integral step in protecting its performance, reliability, safety, and value. And of course, in a perfect world, all of our fellow Miamisburg, OH drivers would strictly adhere to their automobiles’ recommended service intervals. Be that as it may, here at Walker Toyota, we recognize that drivers these days have more on their plates than ever before; carving out a chunk of time to bring your trusted Toyota into our onsite service center may just not be entirely possible at all times. 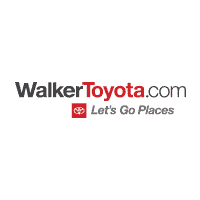 That’s why we’re proud to offer our Walker Toyota Express Maintenance. Perfect for those days when your schedule is simply jam-packed, our Express Maintenance allows you the ease and convenience of coming in for basic auto servicing like oil changes and tire rotations, without having to make an appointment prior. Plus, when you use our express lane, there will be more hands working on your vehicle throughout the process, allowing our crew of service specialists to perform all of your maintenance needs in an expedited fashion. The result? Quicker, more convenient servicing for your car, without any compromises made in terms of the quality of the service being performed. Proudly serving residents in the greater Middletown, Dayton, Cincinnati, and Springboro area, we here at Walker Toyota of Miamisburg, OH would love to become a part of your automotive maintenance journey. Give us a call today at 888-710-7413 to learn more, or simply swing by our store the next time you’re passing through the area.